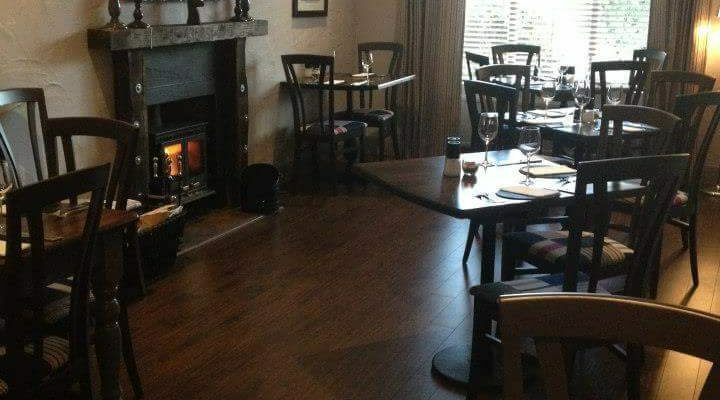 If you want great locally produced food and drink in a place with an open fire and more than a nod to the nautical, then this is the place for you. The Smugglers Inn is in picturesque Killyleagh ; home to the Hans Sloane Chocolate festival in September and beside the shore of Strangford Lough. Locally produced ingredients where possible are always on the menu. Fish dishes are a favourite. Depending on the weather and the season, you can feast on Strangford Lough mussels, cod, seabass, or crab claws all from local shores. They do regular Theme nights again depending on the season. So far they have showcased seafood, Indian and the food of County Down to great success. Desserts are quite a draw too. Well we do love our sweet things, don’t we? What’s that you say? A two course menu on Wednesday and Thursday evenings for £13.95 It can’t be true, it is!